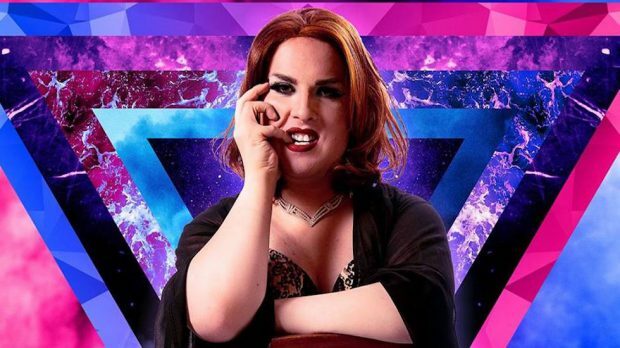 This Sunday, November 18 Perth says goodbye to beloved local comedy queen Anna Piper Scott of Trivia Death Match and award-nominated show Almost Lesbians with one final show and a heck of a line up of local talent. These include Perth favourites Werzel (known to many as “the King of Perth Comedy”), Sian Choyce (who has opened for Doug Stanhope & Matt Okine), Jamie Mykaela (performed at the Edinburgh Fringe, has opened for Amanda Palmer), Ayden Doherty (hype man for the infamous Crap Music Rave Party), Alissia Marsh (Perth’s best four-fingered lesbian comedian), Luke Bolland (winner of Best Comedy at Fringe World 2018), Craig Quartermaine (as seen on Tonightly and heard on ABC Perth) and Tomas Ford (host of Crap Music Rave Party, Friday Night Fringe and multitude other shows around Perth). On the move to Melbourne and her last hurrah in Perth, Anna explains “I started doing stand-up in Perth almost a decade ago and I’ve finally reached the point that all WA comedians eventually reach, where they realise it’s finally time to move to Melbourne to stop getting paid for comedy. “I just thought it would be nice to finally do one last well-paid gig before moving to Melbourne to do open mics that end with a bucket of loose change being passed around. I’ve been performing here long enough that I think all live comedy fans would’ve seen me at one point or another. So I’m now forced to either move or write new jokes, and moving seemed easier. “Honestly though, I’ve put on a lot of great shows that I’m very proud of, even if my family isn’t. I’m genuinely very excited to put on one last big show at Perth’s best comedy venue to say goodbye to the city and audiences that I have loved so much and that have, in return, tolerated my presence. 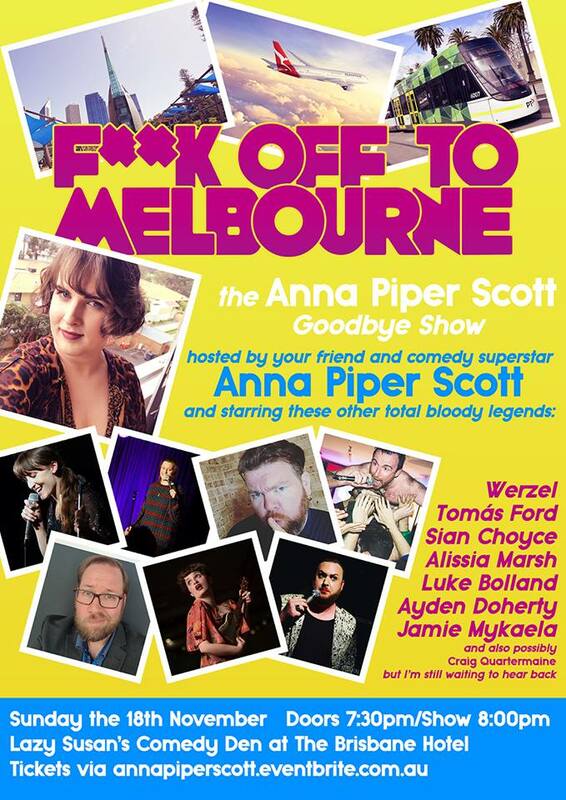 The Anna Piper Scott Goodbye Show takes place this Sunday, November 18 at Lazy Susans Comedy Den at the Brisbane Hotel. Tickets are only $20 and available here.